For so many men, thin hair is not a good look. As we age, our hair naturally gets thinner as hair production slows down. Now, some guys can rock a shaved head and look great. But not every man feels that eager to whip out the buzzer. The good news is that you can use certain hair products to give the illusion of fuller, thicker hair. If you want to cover up those areas in which your hair is looking thin, we strongly suggest grabbing a high-quality pomade. The right pomade will help you keep your hair looking luscious and full so you can get back the confidence that you deserve. 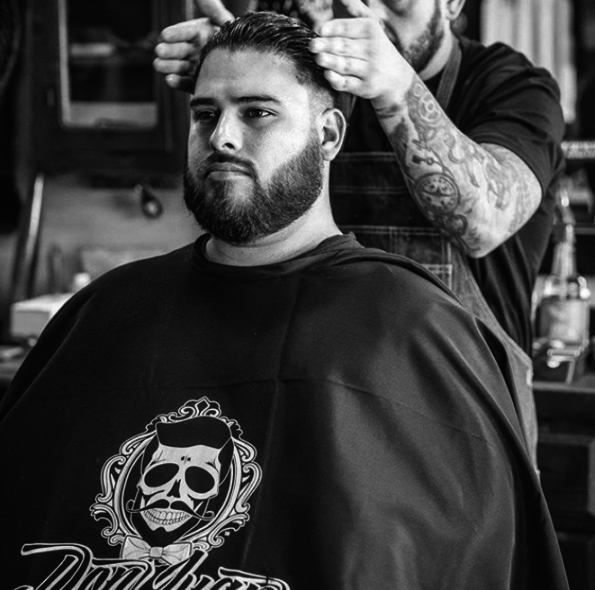 A good-quality pomade will contain certain ingredients that actually plump the strands of your hair. These ingredients get deep beneath the cuticle and give your hair so much hydration and nutrition that it will visibly become thicker. This will make it easy to hide the fact that your hair is actually thinning. Ingredients like jojoba oil, lanolin, castor oil and beeswax are all known to have a plumping effect on strands of hair. So, look for these ingredients and you’re good to go. Hair, just like every other part of our body, requires certain nutrients in order to be healthy. In fact, thinning hair can be the result of a lack of nutrients in the body. When we’re deficient in certain nutrients, our bodies aren’t feeding nutrition to our hair follicles, resulting in a decrease in hair production. 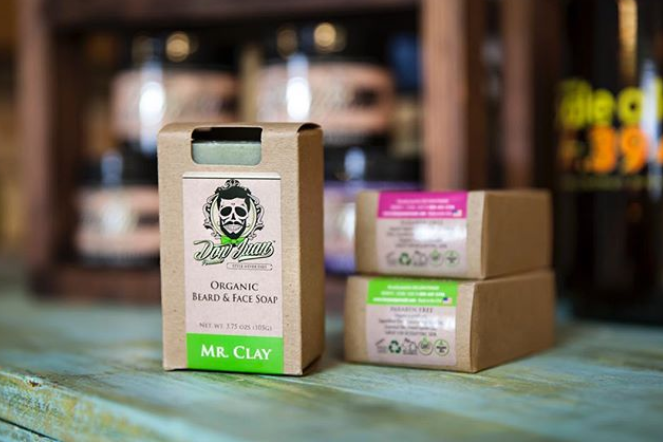 High-quality hair pomades contain vitamins and other nutrients that provide our hair follicles with what they need in order to make our hair healthier, fuller and thicker. Certain essential B vitamins and proteins are capable of addressing issues with the hair follicles. Another reason to use a pomade for thinning hair is because it helps you create a style that can actually cover up those thinning sections. 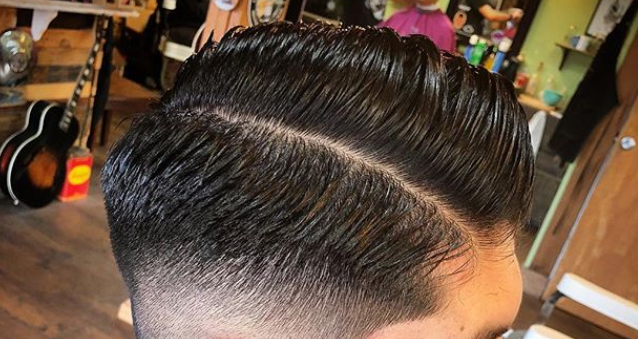 For example, if you find that your hair is thin at the center of your scalp, you can use a pomade to sweep some of the hair that’s on the sides over this area. With the right styling, no one will even notice that your hair is thinning. Of course, in order to style your hair properly, you need a pomade that offers the right hold without making your hair feel greasy or hard as a rock. Otherwise, it won’t look natural. Before you purchase the first pomade that you see, read the list of ingredients. Stay away from any products that contain harsh chemicals that can actually cause damage to your hair follicles. Always choose a pomade based on your hair type. If you have naturally thick hair despite some thin spots, go with a wax-based pomade. If your hair is generally fine, a water-based pomade will give you the hold that you need without making it look weighed down or greasy. A good pomade will help you hide those thin areas while boosting your hair’s nutrition. Always look for a high-quality product that can give you the results that you desire.